His home was tucked deep in an alley behind a vegetable market, as if to hide its secrets behind waist-high piles of cabbage. Mr Li’s bookshelf was stuffed with banned history and politics books: one title was Death Diaries of the Cultural Revolution. He told me his wife had divorced him, that he’d had a stroke some years back and his son didn’t take care of him anymore. But he would always return to the labour camps, to the cold and the damp. ‘They treated us like pigs,’ he said. During interrogation, they forced him to take the ‘aeroplane’ position – bent at a right-angle at the waist, arms straight back behind him – with his head held up against a heater while the guards twisted his fingers back, breaking them. ‘Mao Zedong is a murderous devil,’ he whispered. China is a minefield of stories like this, lying around us like unexploded bombs. Most remain undisturbed, but every so often you tread on one and it goes off, reminding you of the depth of unreckoned memory that this country holds. 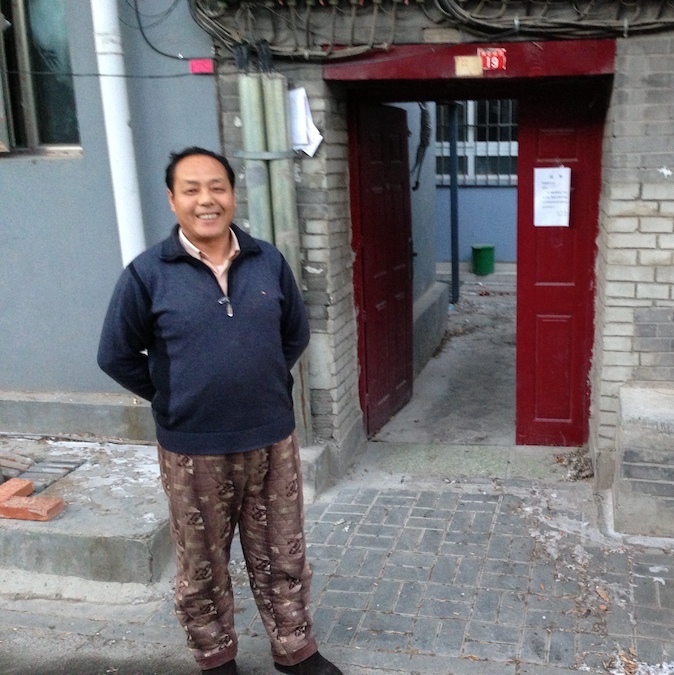 They lie thick in Beijing’s hutongs, where residents have often lived for decades in single-storey homes packed together under a single address. Further out are high-rises for new or relocated arrivals, where the city is thin at the edges, as a pancake is spread on the skillet. But in the inner city, Beijingers like Mr Li have been here long enough to witness all the quicksilver shifts of this protean beast. And for foreigners who are passing through, we are just flies on the beast’s back, witness to a hurtling present as the past recedes ever further behind into lost memory.